Here’s a question for you. What do deer antlers, fighter pilot helmets and elite sports cars have in common? The answer – because you give up, right? 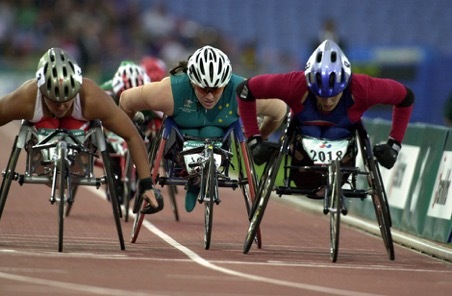 – is that they have all been used to inspire the next generation of Paralympic sports equipment. Here’s the story. Time was that the Paralympics were a low-publicised footnote to the Olympic Games. Today the Paralympic movement has surged in popularity, with athletes who have achieved star status. As well as an enhanced profile, Paralympic athletes are also enjoying the benefits of increasingly sophisticated sports equipment – from wheelchairs designed by elite sports car manufacturers to prosthetics inspired by deer antlers. Make no mistake. The Paralympics have become a fertile seedbed for engineering innovation. 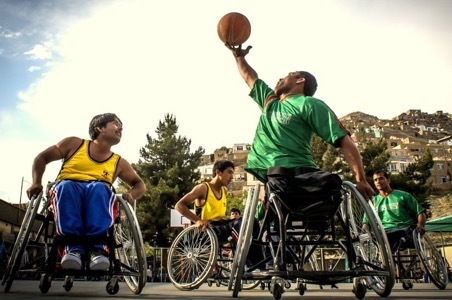 Wheelchair basketball: fast, furious, often brutal. Player’s wheelchairs must be speedy, balanced and agile, as well as strong enough to withstand powerful collisions. Lots of them. That’s why Team GB’s 2012 wheelchair basketball team were grateful for the engineering chops of wheelchair manufacturer RGK, who joined forces with BMW and Loughborough University to create a revolutionary design specifically for the rigours of wheelchair basketball. True innovation rarely comes from tweaking the tried and tested. RGK went right back to the drawing board with its wheelchair design, starting from scratch in CAD and iterating its new design based on rigorous automated stress analysis. By building each chair’s frame from aerospace-grade aluminium, the team improved the shock resistance of Team GB’s wheelchairs while reducing weight by around 2kg. Each chair was also made-to-measure, with personalised seats based on 3D scans of the players’ physical dimensions and biomechanics. The result: wheelchairs that were more comfortable, more manoeuvrable and more stable. Of course, when you swap the basketball court for the race track, speed matters more than strength. Just ask BAE Systems, who formed a partnership with UK Sport’s wheelchair programme and donated £1.5m of engineering services. Part of that included thorough requirement-capture analysis – the same process BAE use to develop fighter pilot helmets. Cue extensive interviews with Team GB’s wheelchair athletes, which revealed a huge amount about how the individual athletes interfaced with their chairs and some of the limitations they faced. 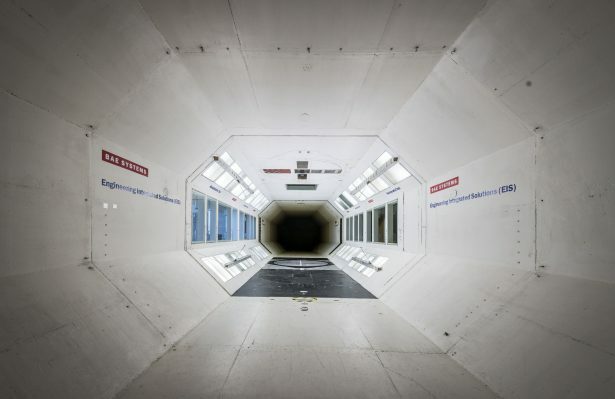 In a first for Paralympic sport, BAE also gave Team GB’s athletes access to their wind tunnel – used with famous prevalence by Team GB’s gold rush cyclists. The results from these wind tunnel tests helped to calculate the optimum posture and position for wheelchair racing athletes to promote comfort and speed. This contributed to the development of the first British wheelchair with a chassis made entirely from carbon fibre. It’s six times stiffer than conventional aluminium racing chairs, which reduces drag and increases speed. Do deer antlers hold the secret to the future of sprinting? 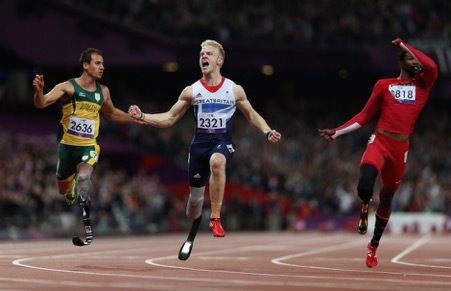 Perhaps the image most synonymous with modern Paralympics is that of the blade runners hurtling towards the finish line. Already an engineering marvel, each blade must be tailored to the unique biomechanics and weight of each runner in terms of energy stored and returned. This is achieved by tweaking the shape of the blade as well as the layers of composite to provide the perfect balance of spring and absorption. Now manufacturers are looking to innovate further by improving the interface between the stump and the prosthetic. Challenges include spreading pressure evenly, reducing heat and friction and avoiding the build-up of sweat – all of which can lead to tissue damage and bacterial growth. To help overcome this, prosthetic manufacturer Blatchford has developed a silicon socket that can be laser drilled to drain sweat from the interface. Meanwhile, blade manufacturer Össur has been developing an interface that integrates more directly with the stump, pushing the remaining muscle through holes in the socket to improve control. But the ultimate future interface could come in the form of osseointegration, where the prosthesis connects directly to the bone via an implant. The challenge of course with an implant that breaks the skin is keeping the site free from infection. Though, back in 2006, University College London completed research that mimics the way the protrusion of a deer’s antlers are protected by soft tissue to prevent infection and maintain the integrity of the skin as a defensive barrier. Fascinating stuff. As with many sports disciplines, the smallest competitive gains can be the difference between going for gold and going home empty handed. Add in the strict parameters governing the design and function of Paralympic equipment and it’s clear that the trend of major innovation isn’t set to stall anytime soon. Future disability sports technology will be increasingly customised for its user – enabling the next generation of Paralympians to go harder, faster, stronger and push the limits of what’s possible within the Paralympic movement.